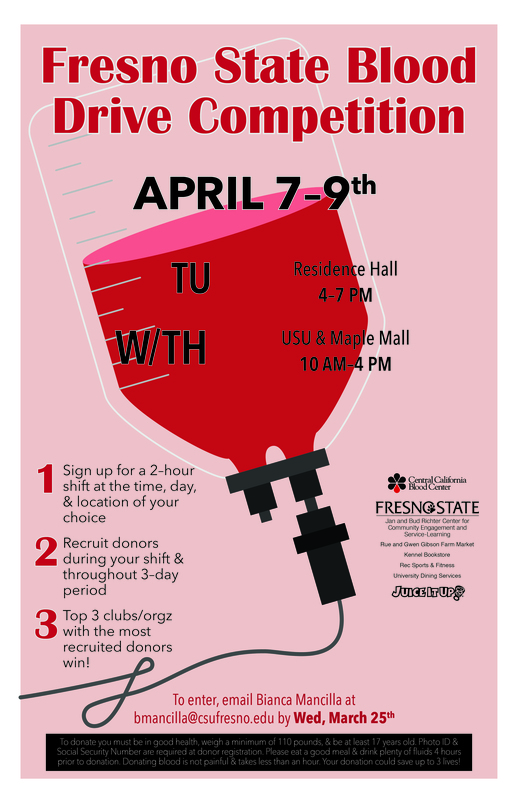 Fresno State is known for its traditions, and one in particular has literally been saving lives: on-campus blood drives. For the last blood drive of the academic year, the school is doing something a little different: hosting a blood drive competition amongst the student clubs and organizations. The interested groups will sign up for a 2-hour shift at the time, day, & location of their choice. During this time frame as well as the 3-day period, the groups will recruit potential donors whether it be other classmates, professors, or even family members. The top 3 clubs/organizations with the most recruited donors win! The interested groups are asked to email the head coordinator, Bianca Mancilla, at bmancilla@csufresno.edu by Wed, March 25th. Here are a few upcoming events where YOU can serve. Extra info: To donate you must be in good general health, weigh a minimum of 110 pounds, and be at least 17 years old. Photo ID and Social Security Number are required at donor registration. Please eat a good meal and drink plenty of fluids four hours prior to donation. Donating blood is not painful and takes less than an hour. YOUR donation could save up to three lives! 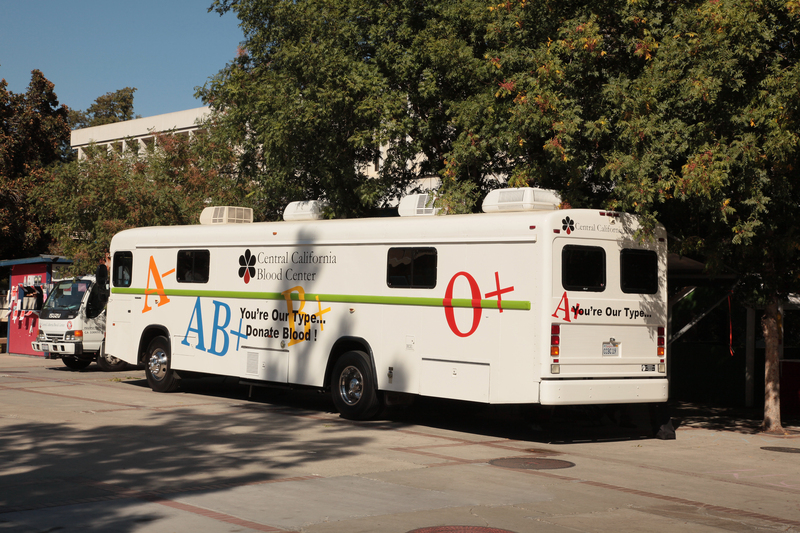 For more information on blood donation, please call the Central California Blood Center at 559.224.2900. 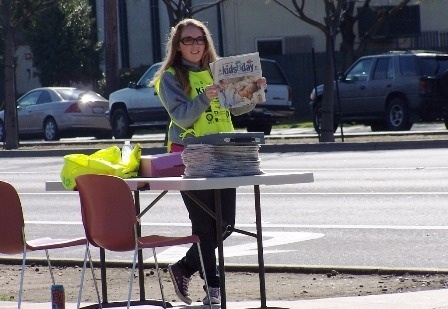 A Fresno State student sells Kids Day papers to raise money for Children’s Hospital Central California. Times: Newspapers may be sold from 6:00 a.m. through 3:00 p.m. Extra info: Join the Fresno State community in helping Children’s Hospital Central California provide health futures for all children. Register for this annual fundraiser by visiting www.fresnostate.edu/academics/cesl/about/events.html and select the Kid’s Day link. Questions can be directed to Renee Delport (rdelport@csufresno.edu).